Director Brian James O’Connell (‘Red Dirt Rising‘) helms a script written by Ryan Mitts (‘Just Jamaal‘) and Dr. God which is actually a comedy troupe consisting of 5 people. They’ve filled out the cast with a combination of actors that should see a hilarious dynamic on screen with Fran Kranz (‘The Cabin in the Woods‘), Pedro Pascal (‘Game of Thrones‘), Emma Fitzpatrick (‘The Social Network‘), Yvette Yates (‘Inherent Vice‘) and Joel Murray (‘God Bless America‘) with Joey Kern (‘Super Troopers‘). The action-packed movie stars Fran Kranz as Evan, a dutiful and overworked employee stuck at a soul-killing corporation with his beautiful co-worker and girlfriend Amanda (Emma Fitzpatrick) and his slacker best friend Tim (Joey Kern). Evans world begins to crumble when Amanda dumps him and his boss Ted (Joel Murray) hands his coveted promotion to his nemesis Max (Pedro Pascal). 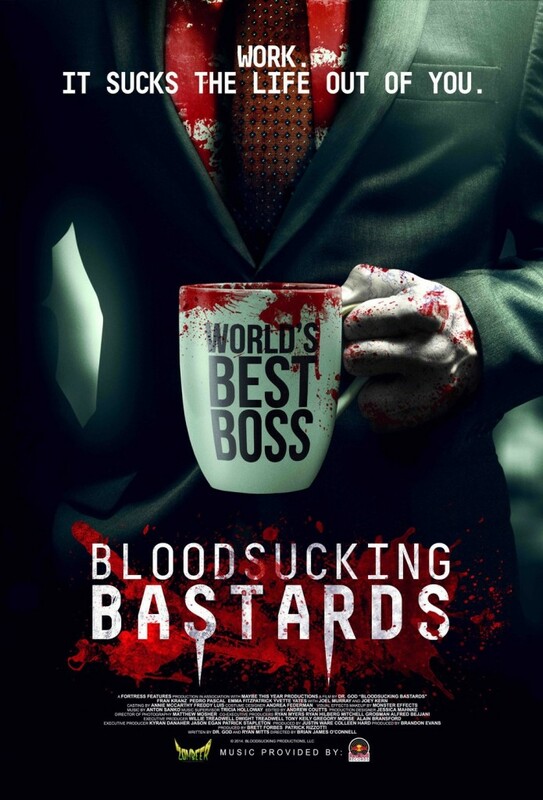 When his office mates start going through disturbing changes, Evan must find a way to stop the evil brewing amidst the cubicles, and rescue his workplace pals before his life and career go from dead-end… to just dead. The feature has premiered at numerous film festivals to press acclaim and incredible audience response. It’s hitting select theaters and VOD September 4, 2015. This entry was posted on Tuesday, July 14th, 2015 at 3:37 pm	and is filed under Film, News. You can follow any responses to this entry through the RSS 2.0 feed. You can skip to the end and leave a response. Pinging is currently not allowed. « Check Out The New ‘Fantastic Four’ Trailer From Comic-Con!! !